As you slosh through the ice-cold river, bracing yourself against the current, it occurs to you that maybe Crocs weren’t the best sandals to bring on this hike. You know what would make this situation better? A quality pair of water sandals. 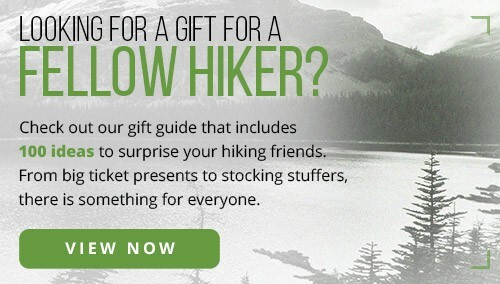 Luckily, we at The Adventure Junkies have done all the work to prevent this situation from happening by making sure you find the best water hiking sandal for you. If you haven’t done much hiking, you might not realize that water sandals can be just as crucial to keeping your feet happy as your hiking boots. 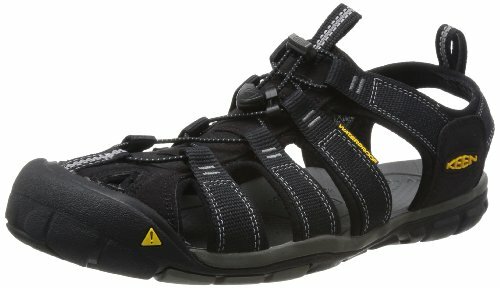 From desert slot canyons to flowing streams, these sandals will help you handle water situations on any hike with ease. Find out what features to look for and pick out the perfect pair from our list below. You’ll be conquering wet terrain in no time. Lightweight and supportive, the KEEN CNX is a hybrid sandal that provides comfort on the trail and in the water. Grippy rubber soles offer stability in wet environments, while the light cushioning and molded arches conform to your foot to create the best fit for long miles. Open this sandal up to breathe with a quick tug of the elastic cord, making it easy to slip on and off. If you opt to keep your sandals on after a stream crossing, the patented rubber toe guards will protect your feet as you continue to hike. These make the perfect pair for anyone looking for a lightweight hiking sandal that still offers plenty of coverage and support from stream to trail. 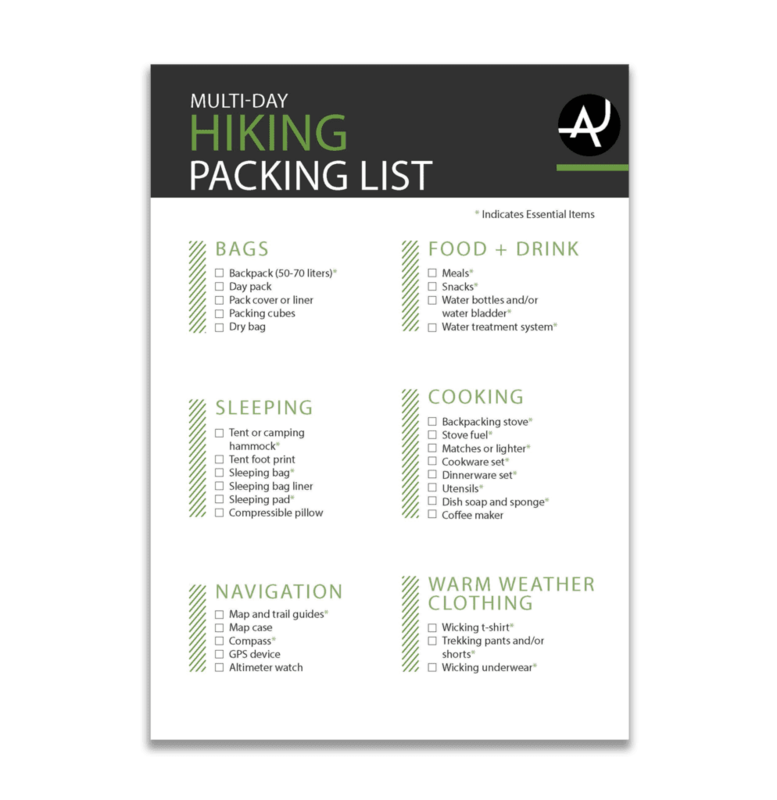 Upon first glance, one might underestimate this hiking sandal; after all, it leaves your toes rather exposed compared to the rest of this list. That’s the beauty of this line from Bedrock, as it gives your feet room to breathe while offering excellent traction for wet terrain, thanks to its Vibram Megagrip soles. Not to mention the three adjustment areas, which ensure a secure fit when you’re stepping on slippery rocks and logs. The footbed of the 3D Cairn Pro anatomically conforms to your foot, creating optimal comfort with support for your arches and toes. Give these light and breezy sandals a spin for a nonslip experience in and out of the water. No time to break in your sandals before your hike? Grab a pair of the Chaco Z/Cloud sandals, which have a cushy 5mm-thick footbed that will have your toes feeling cozy in no time (they call it the Cloud for a reason). Combine that with the ChacoGrip rubber outsole, and these hiking sandals will perform securely and comfortably in even the slickest environments. Customize your fit even more with the adjustable straps that wrap from the upper foot through the midsole. 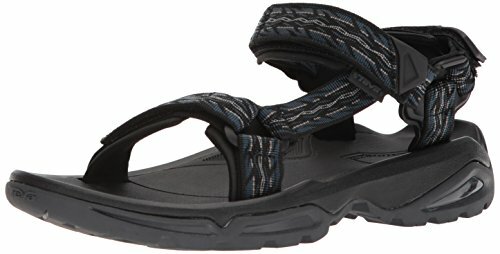 Bring these sandals along on the trail for durable comfort from the car ride to splashing through creeks miles later. Wet, rocky surfaces are no match for these sandals, which offer Teva’s trademark Shoc Pads in the heels to absorb shock when you’re scrambling over mossy boulders or through watery canyons. A padded ankle and three-point strap adjustments combine for the most comfortable fit possible, making sure you feel secure throughout your hike. When it comes to grip, the Terra Fi 4’s Spider Original rubber outsole is up there with the best of them. 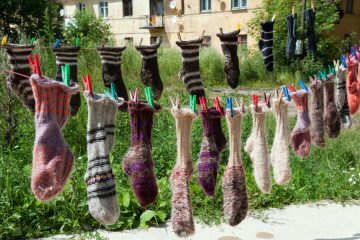 These shoes were designed with wet terrain in mind, staying sticky on every surface as well as fresh, thanks to the zinc-based antimicrobial treatment. Opt for these hiking sandals to keep odors down and traction up miles after you’ve left your water crossing behind. KEEN’s patented toe guards on the Newport H2 protect your feet from rocks and roots, so you can handle any water situation even if you can’t see your feet. Antimicrobial footbeds will keep your feet from stinking up the car on the way home, while cushioned EVA midsoles add comfort. The carbon rubber outsoles are both durable and reliable due to an innovative design that creates traction for when you’re splashing through slippery terrain. The upper material is lined with hydrophobic foam to repel water and create additional comfort and better fit. With their washable webbing, you can take these sandals on any hiking adventure and know they’ll look and smell as good as new before you know it. 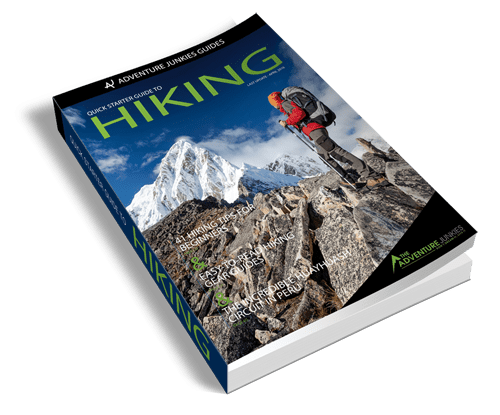 If you’re new to hiking, you might not know how much wet terrain you’ll encounter on most of your hikes just yet. The options on this list offer great traction that will make you feel secure when you do come across slick conditions, so if you’re starting out at the low end, look for a price point that doesn’t compromise on grip. If you’re in the market for a water hiking sandal that will cover more of your foot, tightness could play a factor in your decision. 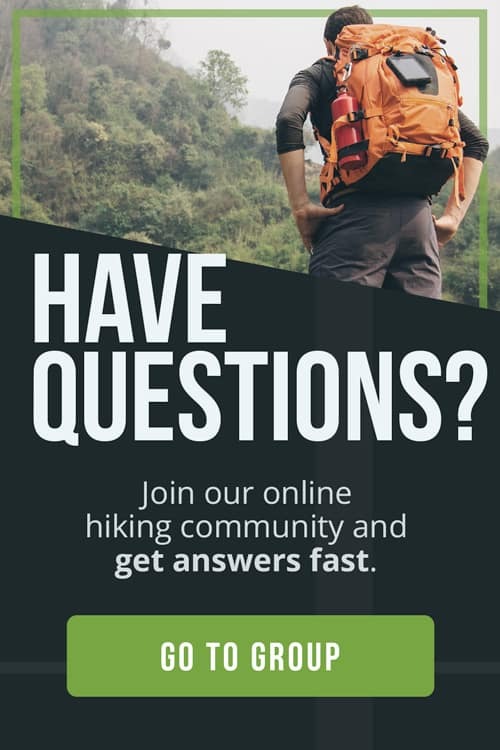 Keen, for example, is known for shoes that run a bit narrow, and aspiring hikers with wide feet should be aware of these brand-to-brand nuances before purchasing. Some brands also offer guides to adjusting their sandals for the best fit. Coverage can affect fit, but the amount of coverage you want in a sandal can also come down to a matter of preference. 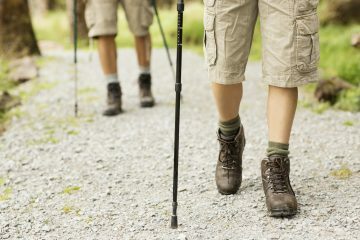 Some hiking sandals cover more of your foot, while others, like Bedrock’s, are much more open. If you prefer a minimalist feel, more open is the way to go; if you’d rather your feet feel more protected from the elements, shop around for more coverage. Check out The Clymb’s buying guide for more on the different types of outdoor sandals. Keep in mind that while sandals can be great for navigating wet terrain, the best pairs can perform double-duty as camp shoes. If your sandals will take a full day to dry after a stream crossing, you won’t want to throw them on again when night falls and they’re still wet. Look for hiking sandals with synthetic, hydrophobic upper materials that will dry quickly. If you’re planning on logging long miles in your sandals, durability and comfort may be more important to you than weight. 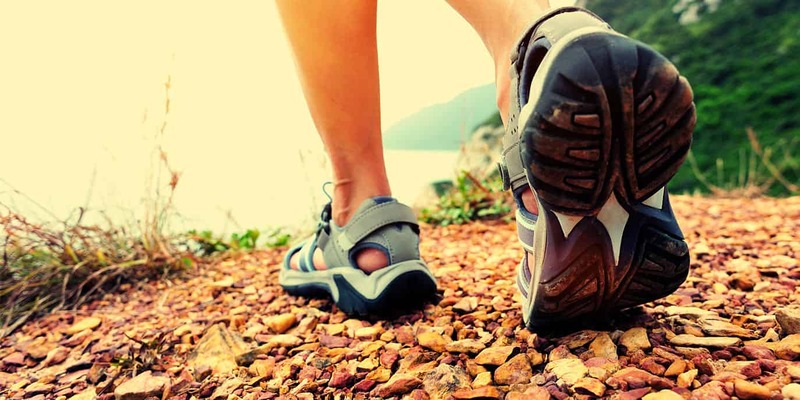 If, however, you’ll be carrying your hiking sandals for a significant portion of time, their weight may be of more importance to you. Compare the heft of the water sandals you’re considering with your intended use for them in mind. Tread is a key attribute for hiking sandals over any terrain, but especially when the ground you’re covering is slick. From walking on mossy rocks across a stream to hiking around a waterfall, outsoles that provide traction can be the difference between keeping your balance and slipping into the water. 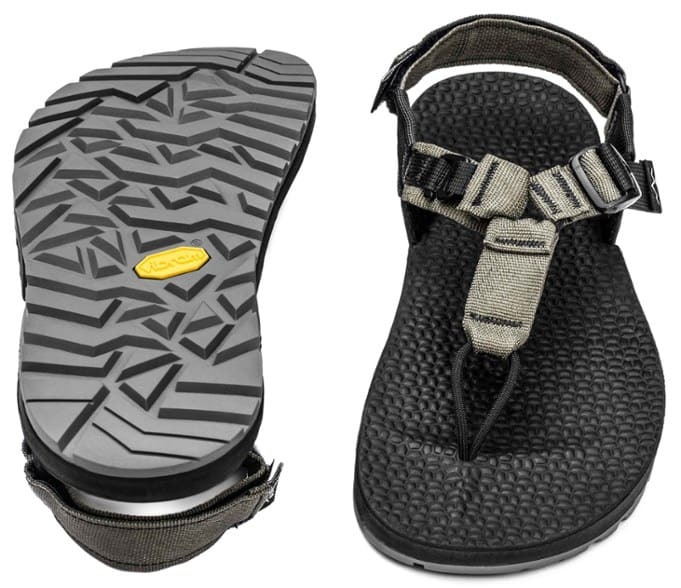 Look for soles like those from Vibram, which are known for providing reliable tread to hiking boots and sandals alike. The inside part of the shoe that makes contact with and offers support to the bottom of your foot. The outer layer on the bottom of the sandal, which touches the ground. The layer between the sandal’s insole and outsole that absorbs shock and adds cushioning. Stands for Ethylene-Vinyl Acetate, a material that offers padding and shock absorption. Describes a material that repels water. Single-pull applicator that adjusts cord laces and holds them in place. A term used to describe the feeling that one gets when the thickness of the sole of a shoe stays the same from toe to heel, a staple of minimalist sandals that allows for greater range of motion, full splay of your foot, and a feeling closer to being barefoot. Katie is an avid camper, hiker, and skier who enjoys documenting life through writing, videos, and photographs. Though the White Mountains of New Hampshire will always have her heart, she's currently enjoying living in the Rocky Mountains of Colorado. She's up for any adventure, from riding horses in Iceland to climbing the Grand Teton, and her latest venture is getting into trail running.